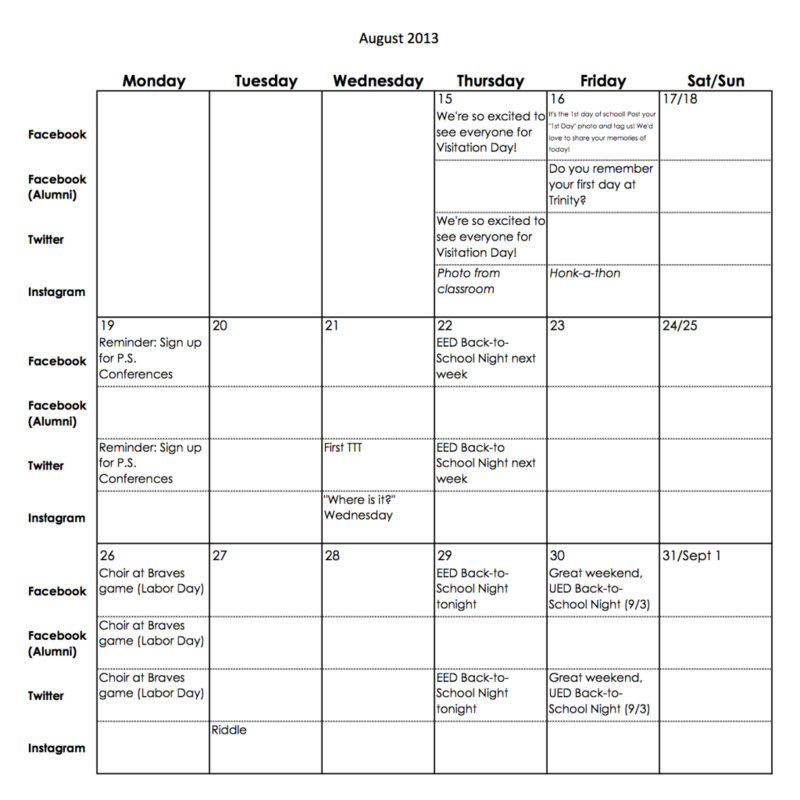 I just finished the social media calendar for September. One of the biggest lessons I’ve learned since managing this aspect of Trinity’s online presence is to leave room to let things happen. 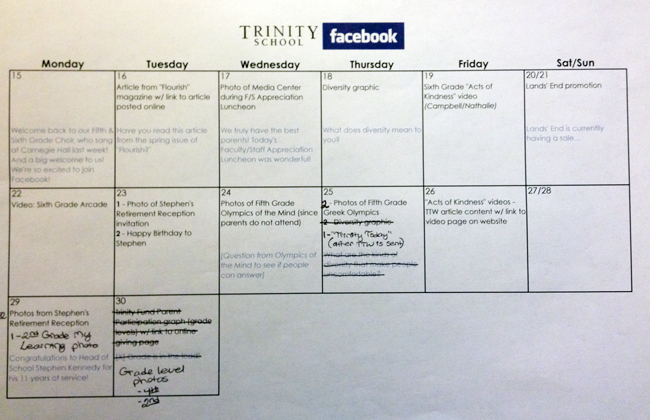 This is the Facebook calendar for April…after April was all said and done. We officially launched our Facebook page on April 15, and the main goal was to have enough content to capture and keep the attention of our audience and to make sure the page didn’t just launch and die. So I was determined to completely fill the calendar. As you can tell from all of my written annotations, I quickly learned that what works better is to have somewhat of a plan–a “sketch,” if you will–and leave plenty of room for things to happen. Sometimes things need to be added, things need to move, or be eliminated all together. But there needs to be enough flexibility to do so. So this was the calendar for August. In addition to changing the format to better manage all accounts, I left quite a bit of room, and it actually makes things a little easier. Pingback: Best Laid Plans | Sharmaine Mitchell, M.S.Ed.